>Jai Balaji Coil & Plates Pvt. Ltd.
Jai Balaji Coil & Plates Pvt. 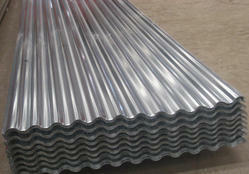 Ltd. - Manufacturer of hot rolled coils sheets, cr sheets & galvalume steel in Faridabad, Haryana. Hot rolled coil is rolled on a hot strip mill from slabs. It can be found on the market in coil or sheet form and is further processed into finished products by the manufacturer. 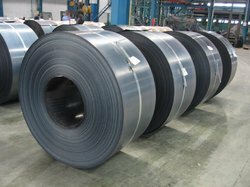 Hot rolled coil is typically 1.4 mm-25mm thick and up to 2,000 wide. Hot rolled coil is produced as a feedstock for cold rolled coil and coated coil, but also for direct use in a variety of industrial applications including steel tubes used in transport, construction, shipbuilding, gas containers, pressure vessels and energy pipelines. Hot rolled sheet with an anti-slip surface and a diamond or teardrop pattern is typically used for stairs, industrial floors and tailboards for goods vehicles. Hot rolled plate is produced by hot rolling a steel slab to form a plate. Typical thickness is between 8 to 120mm and maximum width is 3000 mm. The material is used in the shipbuilding, pressure equipment and construction industries. The plates are cut from Coil at Plant CTL machine, and the level of flatness is excellent. These plates are Branded as True Steel from JSW. JSW Tru Steel Hot Rolled Cut-to-length sheets are an assurance of cutting-edge technology, world class quality, superior finishes and all the attributes most desirable in the respective industrial applications. These products come with tamper-proof packaging with liner markings, flat surfaces with no irregularities and are customized as per the user need. JSW Tru Steel is available in Low Carbon, Medium Carbon, HSLA and API up to X-80 Grades to name a few. Thickness upto 25.4mm, Width upto 2050mm and Coil Weight upto 36mt. Cold rolled steel is a "flat" steel product. The material is manufactured from hot rolled steel, the thickness of which is further reduced on a strip mill without the use of heat. The resulting thinner and flatter material is known as cold rolled steel. Typical thickness is from 0.3 to 3 mm. Typical width is from 600 to 1500 mm. Finished cold rolled steel coil has excellent forming properties, electromagnetic properties, paintability and weldabilityIt is suitable for fabrication by forming, pressing and bending. Applications include domestic applications, automotive manufacturing, lighting fixtures, electrical components (stators, rotors), various kinds of sections, roofing applications, profiled sheets, and wall elements. Flat rolled products for which the required final thickness has been obtained by rolling at room temperature. To meet the various end use requirements, cold-rolled sheet products are metallurgically designed to provide specific attributes such as high formability, deep drawability, high strength, high dent resistance, good magnetic properties, enamelability and paintability. 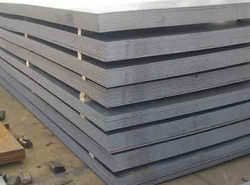 Cold rolled steel sheet is used in a wide variety of end applications such as appliances refrigerators, washers, dryers and other small appliances, automobiles - exposed as well as unexposed parts - electric motors, and bathtubs. Our wide range of Plate Mill Plates are procured from reputed manufacturer Jindal Steel and used for Pressure vessels, ship building and engineering structures. These PM Plates are manufactured with optimum quality raw materials using advanced technology and tested on standard quality parameters, we offer these plates in various lengths and thicknesses as per our clients requirements. We supply medium and heavy hot rolled parallel flange beams and column of JSPL make. We have complete range of Bracings, Columns, Beams, Railings, Platforms & Chimney. It is widely used in construction and engineering industries. These products have gained popularity for advantage of more loading carrying capacity in compare to section weight. These products are normally designated as to Indian and international BS / UB / UC / NPB / WPB / IPE / HE series. We are engaged in supplying a wide range of Structural Steels from JSPL. We have complete range of high quality angles and channels at market leading prices to suit our client's requirements. These Structural Steel products are used in infrastructure, industrial construction and light construction segments. Our products can be used in such as power plants, transmission towers / telecom towers, Ships, fabrication, bus / truck bodies, electrical, industrial sheds, commercial and individual houses, portable houses etc. We have complete range in various length and weights, these steel angles are very durable and functional.